If you missed my post on Wednesday make sure to check it out. I am giving away a free CD. I wanted to share a book with your today. 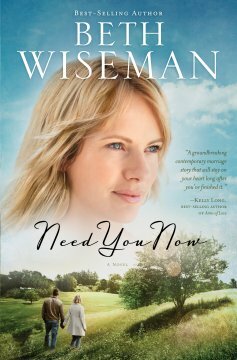 A couple of weeks ago I received a free copy of the book Need You Now by Beth Wiseman from BookSneeze in return for a review. I need to clarify that the review does not have to be positive, I simply have to let readers know what I thought of the book. This book struck a cord with me from the minute I read the brief summary. The main character, Darlene is a stay-at-home mom who is looking for something more.After she and her husband move their family to a small town in Houston, Darlene takes a job working with special needs kids at a school near her home. That is when life seems to fall apart around Darlene, as she deals with serious issues her daughter is facing, managing a home and a new job, and the affections of a man she meets at the school. Although, I will say that this book is not the BEST book I have read recently, I did enjoy reading it. The characters faced real life problems and handled them in ways that many of us would. I liked Darlene instantly. She is an every day mom that just wants to do what is best for her family but also needs to find what is best for her. I felt that her character was well developed and as a reader I connected to the pain and loneliness she was feeling. I loved the message that when things go wrong in our lives we need to stop trying to handle them ourselves and turn to God. This message was not hammered into the reader, though, like some authors try to do, but instead was brought across through Darlene and her family's struggles. I thought the supporting characters were also well developed. Darlene's husband, Brad, handles their situation in a way that is common for so many of us. Darlene's children are also very real, believable characters with very real teenage feelings and reactions. All in all, I found the book enjoyable to read and I will definitely read another book by Beth Wiseman. Sorry it wasn't all that you expected, but sounds like it's a good read... I will have to check it out! Thanks for the honest review!!! It sounds like an interesting read, Lisa. Thank you for the review! Very cool, Lisa! 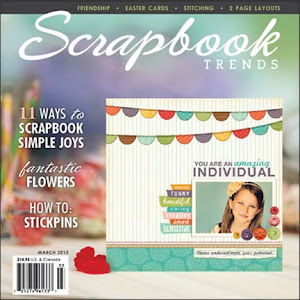 How fun that you got to do this book review!